1.1 These General Terms and Conditions (hereinafter "GTC") of Christian Pein und Ralf Maack GbR, acting under “TOURinformationssysteme” (hereinafter “operator”) apply to all contracts for the supply of goods that a consumer or contractor (hereinafter "Customer") with the Seller with regard to the goods presented by the seller in his online shop. Hereby the inclusion of own conditions of the customer is contradicted, unless it is agreed otherwise. 1.2 Consumer within the meaning of these terms and conditions of service is any natural person who concludes a legal transaction for purposes, which can be attributed to neither their commercial nor their independent professional activity. Contractor within the meaning of these terms and conditions is a natural or legal person or a legal partnership, which acts in the execution of a legal transaction in the exercise of their commercial or independent professional activity. 2.1 The selling of tickets takes place in this online-shop on behalf of and for the account of the organizer. The organizer is the seller of the tickets. The Christian Pein and Ralf Maack GbR only provides the online-shop and takes over the payment and shipping. Any legal claims of the buyer regarding the event must be sent exclusively to the organizer. The organizer is responsible for the correctness of the event data in the online-shop and the proper execution of its events. 2.2 The offer to conclude a contract is made by the customer as soon as he has clicked on the so-called "buy button" or the button clearly labeled in accordance with § 312j (3) BGB. Only with allocation and sending the order by the operator to the customer a contract between the customer and the organizer is placed. 2.3 The order processing and contact usually take place via e-mail and automated order processing. The customer must ensure that the e-mail address provided by him for processing the order is correct, so that the e-mails sent by the seller can be received at this address. In particular, when using SPAM filters, the customer must ensure that all emails sent by the seller or by third parties, instructed with the order processing, can be delivered. 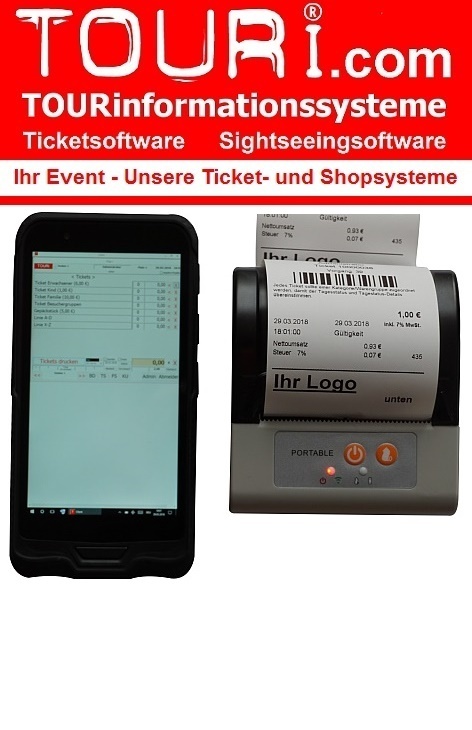 2.4 If tickets are purchased without a specific event date or period, the statutory period of limitation according to the German Civil Code (BGB) applies. For tickets without a specific event date or period (e.g., city and harbor tours), an appointment must be agreed with the organizer, in his context of availability; These tickets are only valid for the day they are redeemed. 3.2 Detailed information about the right of withdrawal are provided in the operator’s instruction on cancellation (Revocation clause). 3.3 The right of withdrawal does not apply to consumers, who are no nationals of a member state of the European Union at the time of concluding the contract und whose exclusive domicile and delivery address were located outside of the European Union at the time of concluding the contract. 4.1 Unless otherwise stated in the product description, prices indicated are total prices including VAT. The respective VAT rate will be shown separately on the order confirmation. The buyer will be charged by the operator no further fees. The shipping costs to be payed by the buyer, depend on the selected shipping method and displayed in the order processing application. Delivery costs, where appropriate, will be indicated separately in the respective product description. For pickup, tickets for "print @ home" and possibly from a certain order value (see provider or item description) no shipping costs are accumulated. 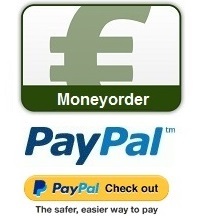 4.3 Payment can be made using one of the methods mentioned in the operators’s online shop (Money order and PayPal). 4.5 The Operator does not guarantee the function, security and accessibility of third-party payment services (PayPal). 4.6 Orders, that have not been paid within 14 days, can be automatically canceled and deleted by the operator. In this case, no separate message to the ticket-purchaser will be sent. 5.1 The delivery of goods occurs in transit to the customer's delivery address specified in order processing application, respectively to the email-address mentioned, unless otherwise agreed. 5.2 Should the assigned transport company return the goods to the operator, because delivery to the Client was not possible, the Client bears the costs for the unsuccessful dispatch. This shall not apply, if the Client exercises his right to cancel effectively, if the delivery cannot be made due to circumstances beyond the Client's control or if he has been temporarily impeded to receive the offered service, unless the operator has notified the Client about the service for a reasonable time in advance. 5.3 In the case of self-pickup, the seller first informs the customer by e-mail that the goods ordered by him are ready for picking. Upon receipt of this e-mail, the customer may pick up the goods after consultation with the operator. In this case, no shipping costs will be charged. 5.4 The dispatch of tickets is usually executed 48 hours after receipt of payment by email or already with the confirmation email when Paypal payment. After the receipt of payment you always will find your tickets in your shop account. You will receive the tickets in the form of ticket codes in the attachment to the order confirmation (Ticket.pdf) or as an independent email attachment in the form of an pdf-file, unless otherwise specified in the item description. Please print out the ticket codes or tickets legibly in their original size (also duplicates for the organizer, if you have received any) and bring along the printouts to the event. 5.5 Basically, online tickets for "print @ home" cannot be protected against duplication. Therefore, make sure that your ticket is not copied illegally and can be presented several times at the cash register. The barcode printed on the tickets will be checked at the cash registers - if the barcode is read several times, the entrance may possibly be denied. For safety reason, an ID, a certificate, order and payment confirmation will therefore to be brought along. 5.6 For some events only conventional tickets are valid for admission. For these tickets, there is available a delivery method called "pickup" or "shipping by mail". The ticket codes that may be included in the order confirmation will not entitle you to entry. If no conventional entrance tickets are created for an event, the order confirmation, proof of payment and the ID card entitle the entry. This also applies to tickets deposited at the cash desk. If the operator provides advance deliveries for the organizer, he retains title of ownership to the delivered goods, until the purchase price owed has been paid in full. 8.1 The operator is unrestrictedly liable in all cases in accordance with the Product Liability Act for damages caused intentionally or through gross negligence, in the case of malicious concealment of defects, and for damages resulting from injury to life or health and physical injury. Liability for damages from breach of warranty is unlimited. 8.2 In the case of a breach of significant contractual obligations that are only based on simple negligence, the operator shall be liable limited to compensation for foreseeable losses typical for this type of contract. 8.3 Apart from the cases stated in paragraphs 1 and 2, the operator shall not be liable for losses caused by simple negligence. 8.4 The customer's right to free him/herself from the contract due to a breach of obligation for which the promoter or the operator is not responsible and in which the goods are not at fault is ruled out. 8.5 If the liability of the operator is ruled out or limited under the paragraphs above, this also applies to the liability of their agents and assistants. 9.1 The operator does not guarantee the constant availability of the platform, in particular for the availability of the servers of contractors. 9.2 In the event of faults, the operator will make every reasonable effort to eliminate any faults as quickly as possible.